It’s been around for a while, but I think the significance of this four letter acronym should be explored. “You only live once” is what it tells us. What does it mean? People have used it as a hashtag signifying & justifying poor judgement and bad decisions with this excuse “you only live once”. 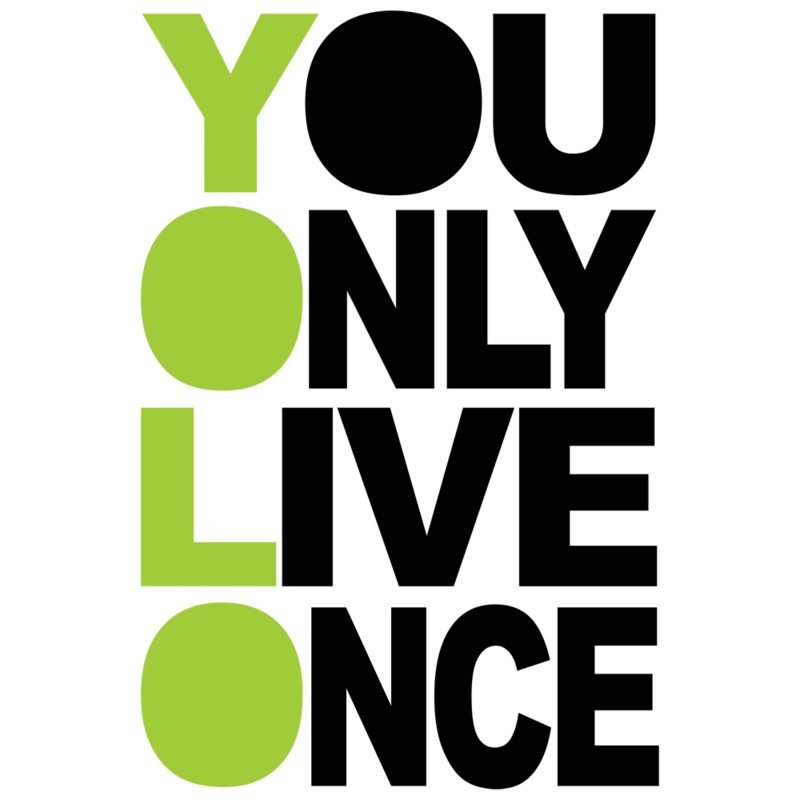 There is even a ‘YOLO’ clothing line that has been started. We’ve gone from ‘Just Do It’ and ‘No Fear’ to ‘YOLO’. Hmm…it seems to me that what culture is telling us is that it’s okay to do what you want, when you want, where you want because you only live once. I recognize that everyone makes mistakes in this life but if we don’t learn from them and acknowledge that we’ve made them we run the risk of never growing and maturing. As a Christian I don’t believe that I am going to live just once and then nothing, I believe that there is an eternity and that this life we live leads us to the next, and what we do here and now counts…it matters! So if I adopted ‘YOLO’ as my philosophy , what I’m saying essentially is that the only thing that matters in life is the ‘here and now’. The problem with that is that it doesn’t account for the consequences. For example if someone sleeps around aren’t they more likely to contract an STD than someone who waits until marriage? If someone starts smoking and burns through at least a pack a day aren’t they opening themselves up to a slew of medical problems down the road the worst being cancer and death? I could add so many more examples of choice = consequence here but these are just two examples. YOLO isn’t really a new phrase, it’s just wrapped in new packaging. Some have taken scripture out of context as well when they quote passages like “Let us eat and drink,” you say, “for tomorrow we die!” Isaiah 22:13 (NIV) The meaning behind it has been eliminated and taken to mean ‘well what the heck, we can do what we want because we know we’re all going to die someday’. I’m not too keen on living that way because I recognize that one day each person is going to have to account for the life that we’ve lived before the Father in heaven. That doesn’t mean that we can’t enjoy life, on the contrary God has given us this life for enjoyment and pleasure but we ought to recognize that He also wants us to include Him in our lives. When we forget consequences and forget about the future, we lose focus on what is at stake. One of my favorite bible verses is a good guide for each of us in how we ought to live. 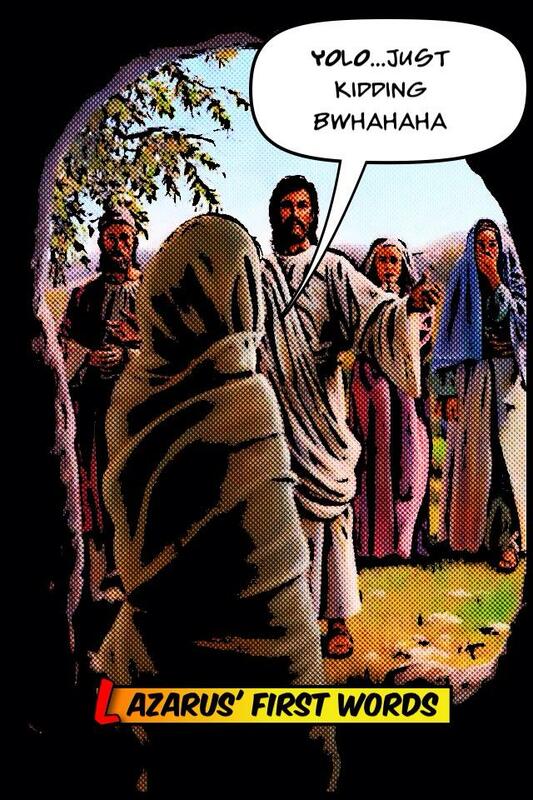 “He has showed you, O man, what is good. And what does the LORD require of you? To act justly and to love mercy and to walk humbly with your God.” Micah 6:8 (NIV) If we are walking humbly with our God we will enjoy this life so much more than the emptiness of comes knocking on our doors after we have lived it up and gone down roads that we now regret. On the plus side, perhaps there is merit to ‘YOLO’…perhaps you can take this phrase to mean ‘hey you only live once in flesh and bone so make it count, do what you can to live a godly life and glorify the Lord in your living’! I think if I were to embrace YOLO that is what I would take it to mean. Will I make it count? Can I live a God pleasing life? Can I help lead others to Him along the way? ‘YOLO’! -Just a thought for today! Next Post Ashamed? Hell No!